Mark Cheser - New Jersey - Book a consultation instantly! Law Offices of Mark M. Cheser, Esq. Mark M. Cheser was born and raised in New Jersey. He received his J.D. from Emory University School of Law. He is a Certified Criminal Trial Attorney. Less than 1 percent of the bar has this distinction. 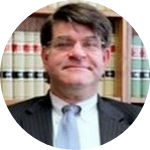 He has been named by New Jersey Super Lawyers as one of the top attorneys in the State three times. Only 5 percent of New Jersey lawyers are selected for this honor. After receiving his law degree, he engaged in further legal study toward an LLM degree. More than 35 Years Experience! Mark M. Cheser was an Assistant County Prosecutor from 1980-1983. He has always practiced criminal law and only criminal defense since 1983. He has appeared in nearly every Court in Central New Jersey. He has represented well-over 7500 clients, tried over 100 cases to verdict and has defended people against every type of charge.